2 Rings is a puzzle that was made by Eric Fuller and was sold back in October. The October batch of puzzles at cubicdissection was especially strong and it seems to me that this puzzle didn’t receive the attention it deserved. I wanted to make sure I got this writeup in before it got lost in the never-ending wave of new puzzles. Straight out of the gate, this puzzle is stunning. The wood choices are spot on and the craftsmanship is truly impressive. Eric spliced in these strengthening corner pieces (sorry don’t know the technical term) that add great accents, but also create an extremely strong and rigid frame. This is important with this puzzle because it is very easy to accidentally generate a lot of leverage and force while manipulating the two pieces. I can imagine that this exact puzzle built with lesser standards might snap or break if someone torqued on it enough. Wonderful construction. Beautiful. Strong. Functional. Outside of the beautiful aesthetics, this is also a very fun puzzle to play with. I didn’t find it too difficult, but I really enjoyed that it stretched my thinking. There was something exciting about rotating the pieces in a 3 dimensional space and navigating this 3 dimensional maze. I also really like the fact that the puzzle has open sight lines. So many puzzles hide their movements inside a box, but here you can see everything and freely rotate the puzzle to view from all angles. The puzzle arrived in a “incorrectly” completed state – that is, the two rings were together, but they were incorrectly oriented and the magnets were resisting each other. The first step was then to separate the rings. This was not too difficult of a challenge, but I wasn’t done yet. I still had to correctly assemble the rings. I made several attempts and several times found myself back at the beginning. There is an obvious spot where the two rings can connect and disconnect. I found myself connecting them together, manipulating the rings through several moves and rotations to the point where I felt I was going to solve it – and then, suddenly, I’d be back at the connect/disconnect spot. Hmm. How frustrating! After a few more attempts, I finally found my way to the end of the puzzle and that satisfying “snap” as the magnets came together. I would guess that there are a few separate solutions for this puzzle, and I’m not sure of the exact moves I used. I just kept moving forward and eventually found the solution. As a kid, I always loved mazes and this puzzle brought me back to those roots. The two pieces have to be manipulated correctly through a sort of 3d maze. 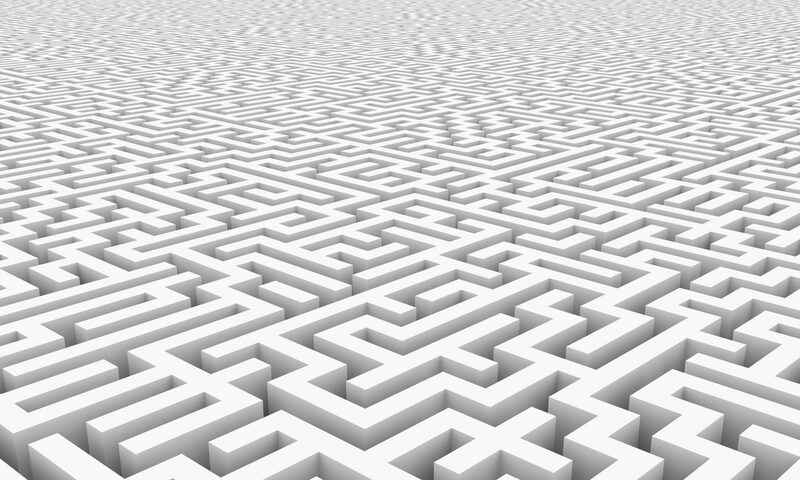 Since the magnets are visible, it is fairly obvious what the completed state will look like, so the difficulty lies in the journey to the completed state, which, in my mind, was very similar to solving a maze. Manipulate the pieces until a dead end is reached – backtrack to the previous junction, try the other path and continue on and on until the end. Solving this puzzle is great – the two rings really “snap” together as the high strength magnets find each other. The magnets also make the first move very tricky to find when disassembling the puzzle. I’ve had this one sitting on the shelf for a few weeks and each time I pick it up, it takes me a few minutes to find the first move. It takes some real force in one specific direction to break them free. To me this puzzle acts as a proof of concept. I think it is a clever idea with unique manipulations, but I also think that the idea could evolve into something even better. I’d love to see what “3 rings” would look like, or what if the voxels were smaller, or what if the faces were curved to invite unique rotations? I really think there could be many future possibilities using this same concept of open, interlocked rings. I found this on really hard and it’s still sitting there unsolved – staring at me. It’s a beautiful puzzle and (for me, at least) a new type of challenge. Yes – it was definitely a new type of challenge. I don’t know if it just clicked with my brain or if I got lucky. I didn’t use much skill or thought, I just kept trying to move the pieces closer to the solution and I eventually got there.